Tidings of Comfort & Joy..! Merry Christmas & Happy New Year 2009!!!! Beauties & Beauties for the festivities! Merry Christmas to you and your loved ones!!!!! Whenever you’re in Klang, do call me hehehe!! Ho Ho Ho … MERRRRY Christmas and see u guys soon! 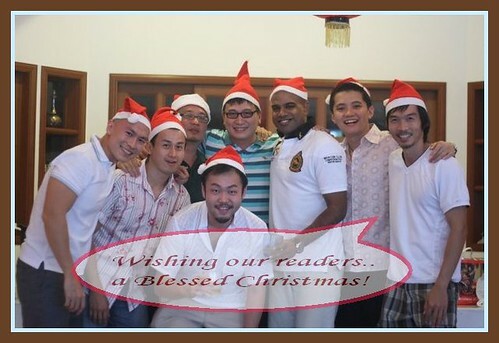 A blessed Christmas, Cumi and Ciki!! See ya when I get back! Mmuaks. Cheers for a good year ahead!!! Merry Xmas and Happy New Year, Cumi and Ciki! We wish you a merry new year we wish you a merry new year we wish you a merry new year and a happy christmas! Happy New Year Cumi&Ciki! Have a blast! 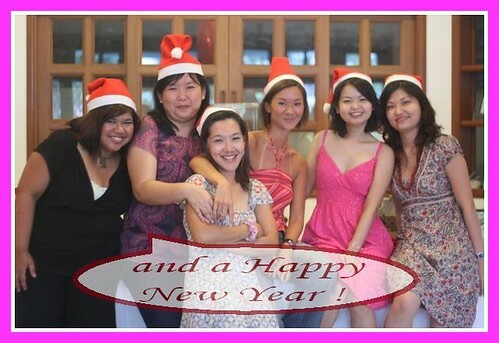 Bountifood women like you and her and hers & them sure can make a most wonderful Xmas & Happy New Year ! Like the gals photos better, so sweet but the guys so cool! C&C – Missing your eating exploits, time to update update update!!! its 2009 d…where r u!?? Happy New Year to you both! Nice, long holiday mode huh? Hurry up, time to snap out of it and get back to blogging!